The four-storied Gothic structure stands almost unnoticed next to the more glamorous Metropolitan studio building on S N Banerjee Road in Kolkata. Bourne & Shepherd, which was one of the oldest surviving photographic studios in the world, is used to being given short shrift by history. 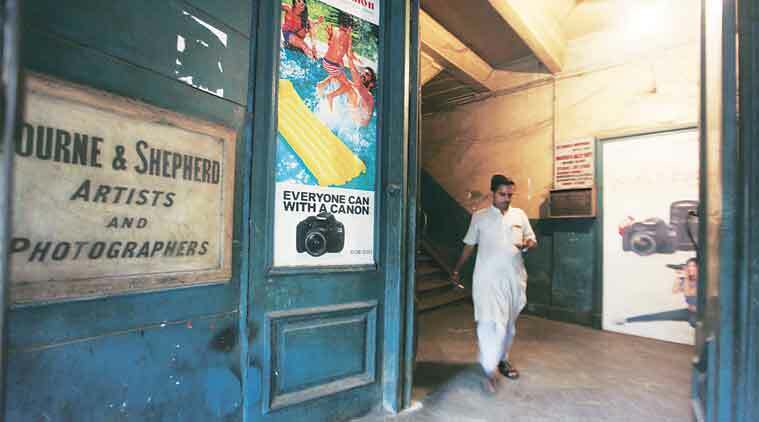 On Thursday, when it downed its shutters after giving Kolkata and the country 176 years of service, there was no one around to bid goodbye. “Bourne & Shepherd was once an important landmark of the city. You would see an assortment of imported vehicles parked outside the building through the 1940s to the 1980s,” said P Sarkar of Metropolitan Photo studio, which is right next door. At its peak, Bourne & Shepherd was the most successful commercial firm in 19th- and early 20th-century India, with agencies all over India and outlets in London and Paris, including a mail order service. Some of its photographs hang from the Smithsonian Institution, National Gallery of Portraits in London, the Cambridge University library. “It is not feasible for us to run it anymore. A heritage establishment like this needs a lot of time and devotion. Due to my advanced age, it’s no longer possible for me to carry on,” said Jayant Gandhi, the owner of the studio. The building was ravaged in a fire 25 years ago and has been allowed to disintegrate over the years. “We lost everything in that fire. We had the finest collection of photographs, all went up in smoke,” said Prem Shankar Prasad, 50, who has been working in the studio for more than 30 years.